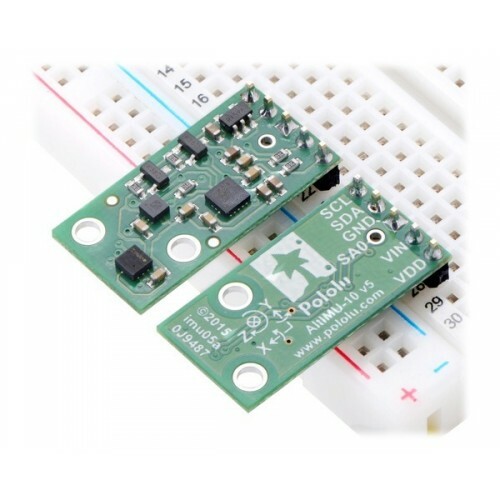 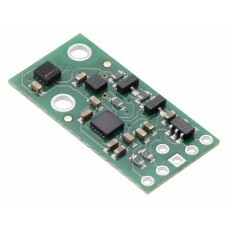 VDD 3.3 V regulator output or low-voltage logic power supply, depending on VIN. 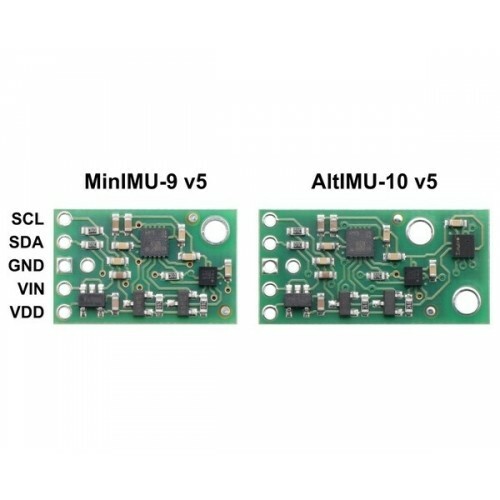 When VIN is supplied and greater than 3.3 V, VDD is a regulated 3.3 V output that can supply up to approximately 150 mA to external components. 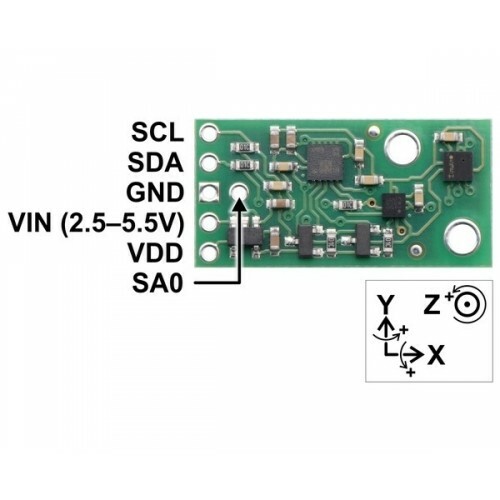 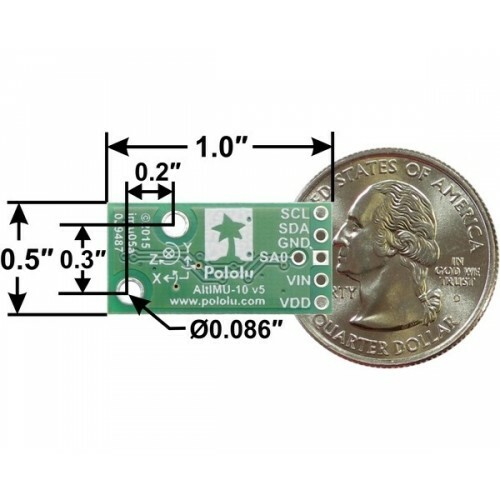 Alternatively, when interfacing with a 2.5 V to 3.3 V system, VIN can be left disconnected and power can be supplied directly to VDD.Never supply voltage to VDD when VIN is connected, and never supply more than 3.6 V to VDD. 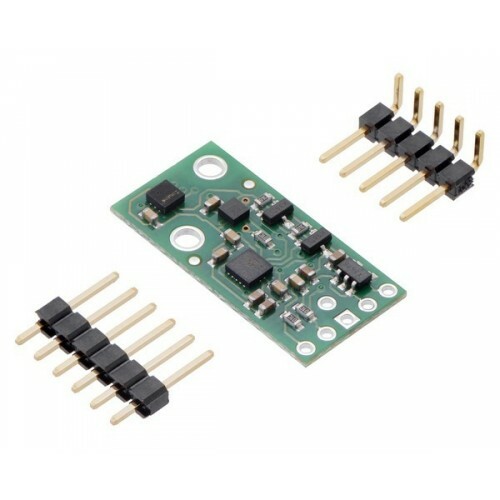 The above schematic shows the additional components the carrier board incorporates to make the LSM6DS33, LIS3MDL, and LPS25H easier to use, including the voltage regulator that allows the board to be powered from a single 2.5 V to 5.5 V supply and the level-shifter circuit that allows for I²C communication at the same logic voltage level as VIN. 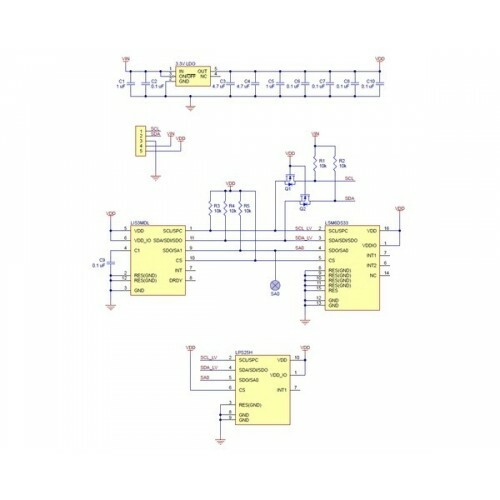 This schematic is also available as a downloadable pdf:AltIMU-10 v5 schematic (119k pdf).